So you are planning a trip to New Zealand in the near future? Awesome! This real-life Middle Earth will have everything you ever want and will leave you with an urge to come back asap and explore even more. Even though the country is far away, it’s actually quite easy to travel to New Zealand and to get around. However, there are still some things you need to know about New Zealand that might surprise you or you didn’t realise. Do you have more questions about your upcoming New Zealand holiday? Leave a comment below or send me a message, and I'll help you as best as I can. Here is your complete guide of things you need to know about planning a trip to New Zealand! How long does it take to travel around New Zealand? North Island vs South Island: Which one should I travel? Where should I go, what are the highlights? If you have a passport of a country that is on the visa waiver list, the answer is no. This counts as long as you’re not planning to stay longer than three months (6 for UK citizens) and aren’t going to work. If your country is not on this list or you want to stay in New Zealand for longer than 3 months, you will have to apply for a visitor visa. This could take a few months, so make sure you apply early enough. Being an island far away from everything else, the fastest and easiest way is by plane. Air New Zealand is the much-loved national carrier and flies to about 19 countries. Other than Air New Zealand, many major airlines fly to Auckland, Wellington and Christchurch. Apart from Europe and South Africa, which are the furthest away, New Zealand can be reached with one non-stop flight, as for example from Los Angeles to Auckland. Another possibility to get to New Zealand is by cruise ship. If you have some more time to travel, this would be a lovely option from Australia or even from South East Asia! Qatar Airlines is currently holding the world record for the longest flight distance from Doha to Auckland, which takes just over 18 hours. Europe is pretty much on the other side of the world and depending on the travel route, getting to New Zealand takes about 24 hours of pure flight time. From the US West Coast, it takes about 13 hours (plus about 7 hours if flying from the East Coast). Air New Zealand business class is such an amazing experience that will make you feel like those hours are flying, literally. When is the best time to visit New Zealand? What will the weather be like? There is no right answer to this question. It all really depends what you are looking for in your trip. 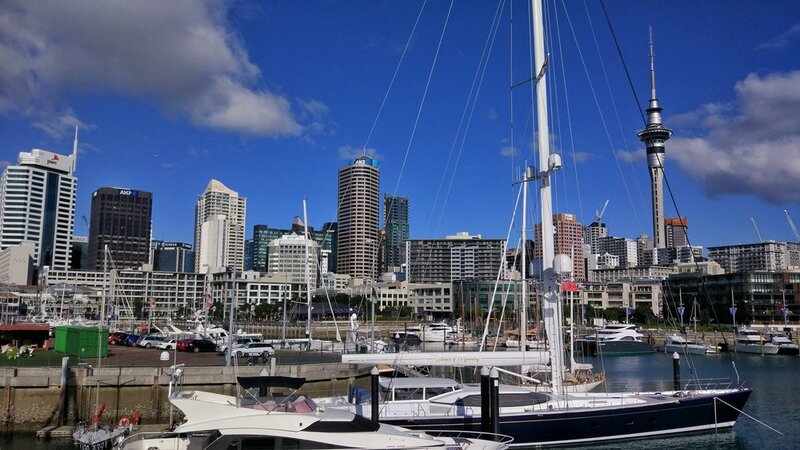 For the best weather in New Zealand, you would have to put up with the most tourists. Whereas there are less people travelling as soon as high season dies down but the chances for heavier rain are higher. It has to be said, though, that this is New Zealand and just because rain is in the forecast doesn’t mean it’s raining all day. The country is famous for its “3 seasons in 1 day”. Often it’s intervals of rain and sun and if it’s raining now, just wait 10 minutes and check again. Weather: There’s still a chance of snow in the mountains and it can be quite chilly, especially in the South Island, but the days are getting longer and warmer. Spring is generally quite a windy time. Tourists: Shoulder season, which makes it less crowded and there is often no pre-reservation needed for accommodation and activities. Weather: Warm and humid all through the country. It’s the time of the pohutakawa trees (often called “New Zealand Christmas Tree” because they flower around this time) and the least rain falls. Officially, the best month is considered February. Tourists: Summer is a very busy time in New Zealand. It not only has the most tourists in this time, but also the Kiwis themselves are on their big christmas break between December and January. It’s very difficult to find accommodation and I strongly advise you to plan and book ahead! It’s also the most expensive season of them all. Weather: Similar to spring, fall can be changeable weather-wise. Nature in the North Island stays mostly green, apart from a few trees. In the South Island you can witness a beautiful Indian Summer with forests of colorful trees if you’re lucky. First snow can fall in the mountains. Tourists: Fall is still a popular season, although it does see less travellers than Summer. Weather: Winter is the rainiest time of the year. In addition, it can get cold (around 0* C on the North Island and minus on the South Island). Snow falls in the mountains on both islands. Tourists: Unsurprisingly, winter is the least popular time to visit New Zealand. But if you’re into winter sports, you should still consider travelling during winter. There are not that many places in the world where you can ski on an active volcano. Ruapehu in the North Island is the biggest ski area in New Zealand and Queenstown’s ski fields are the most famous ones. Personally, I prefer the shoulder seasons in spring and fall to travel around New Zealand. And I love skiing, which is why I don’t dislike winter too much, either. But I do try to avoid travelling from mid-December to end of February because I find it just too crowded and expensive. Unlike most other countries, ACC insurance covers some injuries when you had an accident, even when you’re a tourist. However, I still strongly suggest you buy a travel insurance for New Zealand before you leave your home, as there might be some incidents that aren’t covered. New Zealand’s electricity runs on 230 / 240 volts. 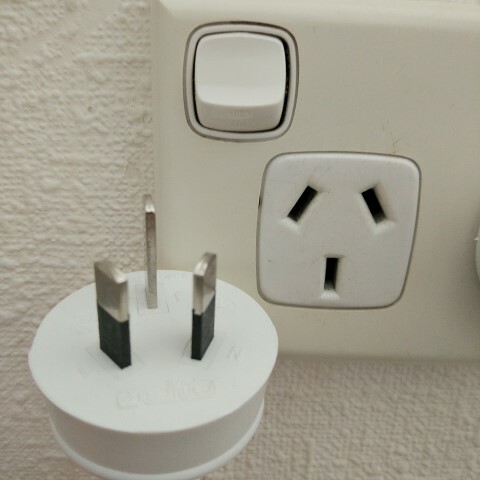 The power plugs are angled with two or three pins. Unless you are visiting from Australia, you will have to use an adaptor for your electronic devices. In the end, that’s completely up to you and how much time you have. I would advise that, at the very minimum, you take 2 weeks. If you only have this long, the best idea is probably to take part in a tour (so you don’t need to drive) or to only visit one of the islands. But to really see more of New Zealand, you need at least 3 weeks and 4 or more are even better. You’re flying really far from most places in the world to get here, so do take your time to take it all in. You won’t regret it! I’ve put together some itineraries for you to help you plan your trip to New Zealand. Here are some ideas for 2 weeks in the North Island and 2 weeks in the South Island. New Zealand is a very casual nation. While you will see some fancy outfits in the cities, the majority prefer to dress practical. So unless you plan on partying along Ponsonby Road in Auckland or need an instagrammable outfit, I suggest you leave your fancy dress at home. Instead you will be likely to wear jeans and t-shirts, outdoor clothes and sneakers. The temperature often varies in New Zealand, so my best advice is to wear layers. Especially us women who often feel warm and then freezing cold again if a little bit of wind blows. And two another important items you will be very likely to need: Rain jacket and waterproof shoes! The weather often changes within minutes and without much notice it might be pouring down. Since it’s often windy, you can leave your umbrella at home (unless it’s a Blunt, they are storm proof) and are better off with just a rain jacket. Waterproof shoes are of importance when going for walks. As I said, it rains often here in New Zealand, and even not very challenging walks can get very muddy. I’m not talking hiking boots (though they work too of course) but there are some really sneaker-looking waterproof trail runners on the market. I can’t even remember how often I get envious glances to my GoreTex shoes on those walks. As long as you obey their rules, the immigration officers are really nice and happy to answer your questions, should you be unsure about something. To protect the fragile New Zealand environment, there are a few items that are strictly forbidden to bring into the country. 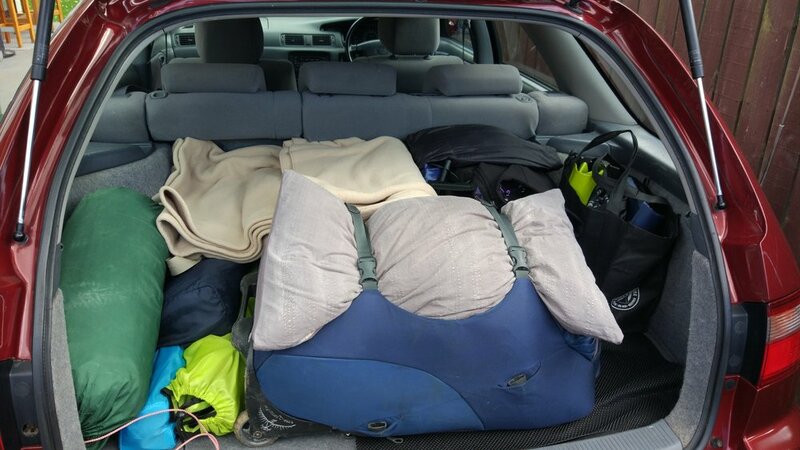 Sometimes it could be that an officer allows certain items, but if you’re not sure, rather don’t pack it than risking either having to throw it away or getting fined for it. All honey and even honey products! Note that chocolate and pretty much anything made of sugar is fine to bring into the country, as long as it doesn’t contain bee product. No plants or seeds are to be taken into New Zealand. Plants could carry diseases and seeds of non-native plants could become pest, overgrow and kill all the fauna. Ok, so maybe I exaggerated a little, but the risk actually exists. It’s similar for wood and wooden products like souvenirs. If you’re unsure, either don’t even buy them or if you do, don’t forget to declare them. You should have seen me in my hotel room in Bangkok, desperately trying to scrub 6 weeks of South East Asian mud from my hiking shoes with hand soap, my bare hands and toilet paper. But, if you want to bring your own outdoor equipment to New Zealand, you better make sure they are all spotlessly clean because no one wants their expensive gear confiscated. Make sure to always declare your outdoor gear, no matter how clean it is. It’s very important that no foreign soil is coming into the country. One of the most recent and devastating plant diseases, kauri dieback, has most likely been imported from overseas. That you mustn’t bring any kinds of weapon and drugs with should be common sense. What can I bring into New Zealand? While the New Zealand government is surprisingly generous with the amount of alcohol allowed to bring into the country, they do drive a hard line with tobacco. It’s the government’s goal to have a smoke-free New Zealand by 2025 and they are meaning it! On top of this, it costs a small fortune to buy tobacco products. Because of all the restrictions, many people have taken up vaping instead. no more than 3 months supply (except for oral contraceptives, where a 6 month supply is OK). Tip: Just declare everything you bring into New Zealand. It’s better and cheaper to have something unnecessary declared than not mentioning something and then having to pay a fine. Every international airport in New Zealand has a public bus that runs from the airport to the city. They operate on a frequent timetable to make sure you always have a connection. Wifi in hotels, backpackers and cafes are usually available. However, unlike other countries, you usually have to pay for your internet connection in New Zealand and more often than not, the connection is not the fastest. Personally, I prefer to buy a SIM card whenever I arrive in a new country, since I not only have internet at hand but am also able to call hotels for reservations. It is important that your phone isn’t SIM locked by your contract, or you won’t be able use your phone. Skinny, Vodaphone, Spark and 2Degrees are the companies to turn to for SIM cards, and all of them offer holiday packages. Good phone and internet reception is still a bit of an issue in New Zealand. While there won’t be a problem in cities and tourist places, as soon as you leave them you often find yourself out of reception range. It might be a bit difficult to get used to at first, but it’s actually quite nice to be off the grid for a couple days. Please be aware that those are just approximate expenses in New Zealand in 2018 and are subject to change. To get a better idea of cost of travel in New Zealand, the guys from budgetyourtrip.com gathered budget information from thousands of travellers to calculate very accurate cost information. Being a very young country, New Zealand didn’t really have much time yet to develop a speciality dish of their very own. That being said, kiwis are very open to food from all over the world and thanks to the multiculturalism, there is a lot of really good authentic food. If you had to name typical food in New Zealand, though, it would be fish’n’chips for take-out, burgers for pub grub and meat (steak and lamb) for restaurant meals. Another classic is the Maori hangi. This is usually a giant amount of meat, kumara, potato and other vegetable, cooked for hours in earth pits. 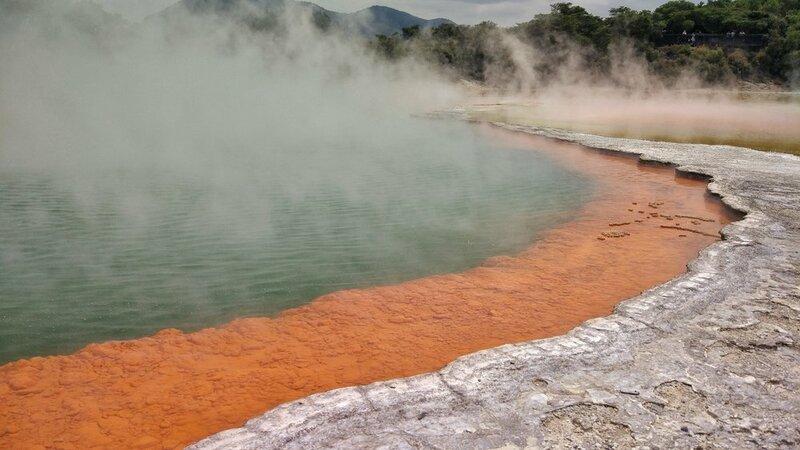 In geothermal areas, the steam is used to cook. This authentic food can be difficult to come across as a tourist, apart from places like Waitangi and Rotorua, where hangi can be eaten as part of the cultural experience. Keep left! New Zealand is part of the British Commonwealth, which means that they’re driving on the left side of the street. There are often accidents with tourists who temporarily forget about this and crash into oncoming traffic. Don’t let this be you! No international driver’s license is needed to drive in New Zealand, as long as you stay less than a year. However, the language of the license needs to include English, or you will need to carry a translation. Speeding limits vary. In cities and towns it’s usually either 50 or 60 and occasionally 30kph. Out of town and on the motorway it can be up to 100 kph, which is the maximum speed in all of New Zealand (apart from a new Motorway section near Hamilton where you can go 110 now). Camper vans are only allowed to drive 80 kph max. Please be aware that often the allowed speed and the road conditions don’t align, especially where the roads are curvy Always drive to the conditions! Driving times often take longer than it looks on maps or that Google Maps suggests. As I said above, speeding limits are often not according to road conditions and you might end up driving slower than your GPS originally calculated. Even though the distances aren’t huge, better calculate some more time. Don’t drink and drive! The limit to still be allowed to drive is 50mg of alcohol per 100ml of blood (0.05). But especially if you’re not accustomed to the roads here, better walk or take a taxi go get home instead. There are a lot more things to know when driving on New Zealand’s roads. DriveSafe has created a great website to help you planning your trip. Although a little winding sometimes, the streets in New Zealand are easy to drive, and it’s really hard to get completely lost. The most popular way to travel around New Zealand is either by rental car or by camper van. That way you have absolute flexibility to decide where you want to go and when. If you have a self-contained camper (meaning with own toilet and water) you can even sleep pretty much anywhere you like, unless there is a no-camping sign. Rental companies for both camper and cars exist in abundance and it’s best to compare the companies and choose whatever vehicle size and amenities you like best. If you prefer not to drive but still want to be as independent as possible, traveling by bus is a very good option. Several companies offer passes where you either pay for a certain pre-set itinerary, by travel hours or by trip or you can easily pay as you go. It’s important to know that those buses are also often used by the locals and not to be mistaken for the teenager party buses. The biggest long distance bus company in New Zealand is InterCity. They operate since 1991 and have over 600 destinations on offer. Tours are great if you a) don’t like to drive b) don’t have much time but want to see as much of the country as possible and c) like to have a guide who knows a lot about New Zealand and loves to pass his knowledge on. There are so many tour operators in New Zealand, it’s hard to find them all and choose the right tour for yourself. Apart from the commuter trains in some of the bigger cities, it’s not the easiest to travel New Zealand by train. However, there is a scenic train between Auckland and Wellington (Northern Explorer) and another two train routes on the South Island. The TranzAlpine runs between Christchurch and Greymouth. The Coastal Pacific would run between Picton and Christchurch but is under construction until further notice since the earthquake in 2016. If you only have a short time to visit, you might contemplate visiting just one of the two islands in New Zealand. Well, I have a whole blog about New Zealand’s highlights, there’s no chance I’ll be able to fit it all into one sub-heading of this article. But I can give you an idea of what to see on the North and South Island in this short summary. Is it an island? Is it a volcano? White Island the Bay Of Plenty is both! The range of places to stay in New Zealand is huge! If you are looking for basic camping or luxury lodges that are only accessible via helicopter and everything in between, you will find it! All it really depends on is your preferences and maybe also a little on your budget. Unless noted otherwise, accommodation in New Zealand usually comes without included breakfast but brunch places and cafes can be found everywhere. There are several types of campgrounds in New Zealand. The probably cheapest ones are managed by the DOC - Department of Conservation. 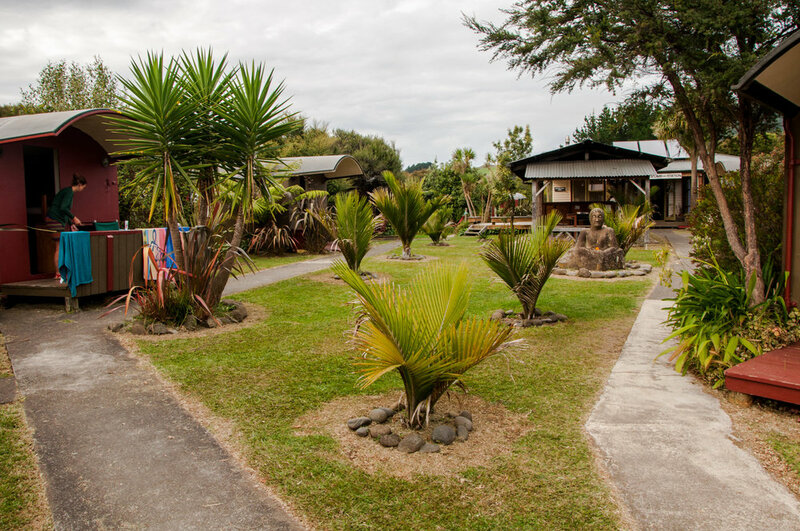 The DOC campgrounds come in different categories, rates start from free to roundabout NZD 20 per person/night. We are definitely not in the age of the typical backpacker anymore. But we still love staying in hostels during our getaways. Hostels in New Zealand are not only for travellers in their early 20s. Carefully chosen, backpackers are also for budget-savvy tourists and families who like creative and cozy accommodation. There are quite a few gems out there, like Solscape in Raglan, Hogwartz in Dunedin and many, many others. Most of the hostels are part of BBH, an independent network for budget accommodation. All hostels get rated by travellers. 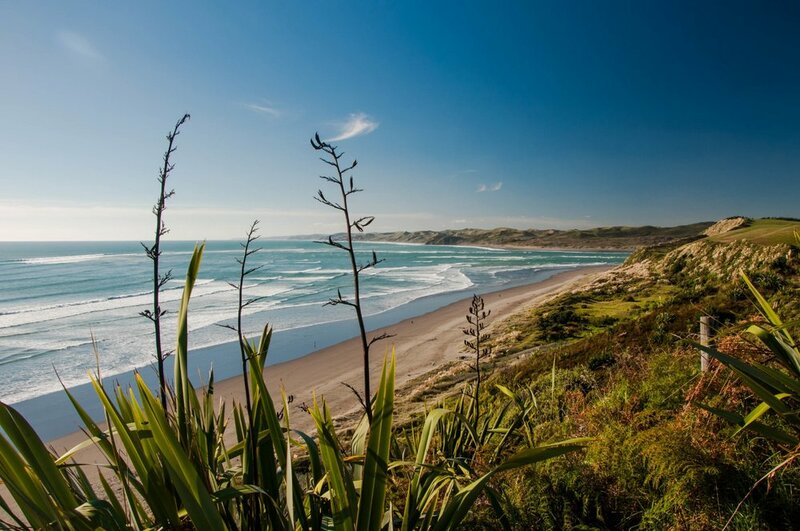 Discover Aotearoa tip: Solscape in Raglan is more a surf and yoga retreat than a backpackers. There is also a vegetarian restaurant on the premises with amazing fresh food from their garden and an ocean view to die for! Most medium budget hotels around the country are motels and hotels. Some have been refurbished and modernised, while some still look very much like they got stuck in the 70s. But unless you are planning a day in, hotels are usually only to sleep anyway and having a great location is a lot more important. Discover Aotearoa tip: Accolade Hotel in Rotorua offers the best value for money. It's in a quiet area but only 5 minutes walk to the center and Eat Street. The hotel is modern, with a little kitchenette and probably one of the only hotels in Rotorua where breakfast is included in the (very fair) rate. Glamping has become a thing in New Zealand. Often off the grid and in a romantic setting, this glamorous version of camping is very popular amongst kiwis for a weekend getaway. The only thing glamping has in common with camping, though, is the nature around. The accommodation itself and the nightly rates often tend more towards a luxury hotel. Discover Aotearoa tip: Castaways glamping at Karioitahi is the perfect romantic getaway for couples to recharge batteries. You'll drive from the lobby to your hut in a golf cart and while you are staying, you won't ever see another soul. The canvas tent has all amenities a hotel room has, including ready-to-cook food and drinks in the fridge. Just follow the recipe. After dinner, rewind with a glass of wine in the open air bath tub and enjoy the amazing views! There’s almost no end to where you can stay if you have the right budget. 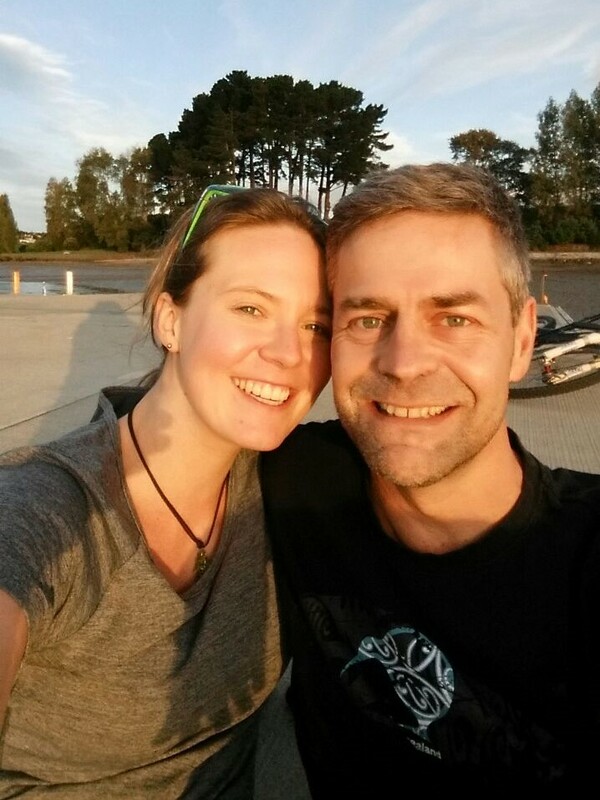 Staying in an alpine lodge that’s only accessible by helicopter in the South Island? Mingling with international VIPs while relaxing at the Huka Lodge? No problem at all! There are 2 ferry companies operating on the Cook Strait between Wellington and Picton. The more famous one is Interislander and the other Bluebridge. They are equally good. If you have to choose, just take the one where the timetable fits your schedule better. Update: From Monday, 5th November 2018, you finally don’t need to fill out a departure card anymore! Not that it was a long procedure to do this, but it did feel like an unnecessary task. Not only will it save you time and nerves now (because, let’s be honest, many forgot to fill it out), but is probably also much better for the environment. After you have passed immigration, you are good to go to your departure gate. See you again soon in New Zealand! Do you have any more questions or did I miss something important? Let me know in the comments below or send me a message. If you found my article helpful, please share it with anyone who loves New Zealand by clicking the share link at the bottom of this page. You can also follow me on Facebook, Instagram and Pinterest.